I love essential oils because they smell incredible, plus they make it 1000 times easier (and more fun) to ditch the chemicals in cleaning and personal care products. The brand of essential oils (EOs) I use and love is Young Living. Why are they my brand of choice, you ask? They have loads of products outside the oils too (think makeup, cleaning products, shampoo and conditioner), which means that making the switch to chemical free products is actually super easy. If you want to get wholesale pricing (that’s 24% off all of your orders), you’ll need to invest in a “starter kit”. There are a few different starter kits, but the Premium Starter Kit is what I started with, and it contains the 11 oils that every home needs. 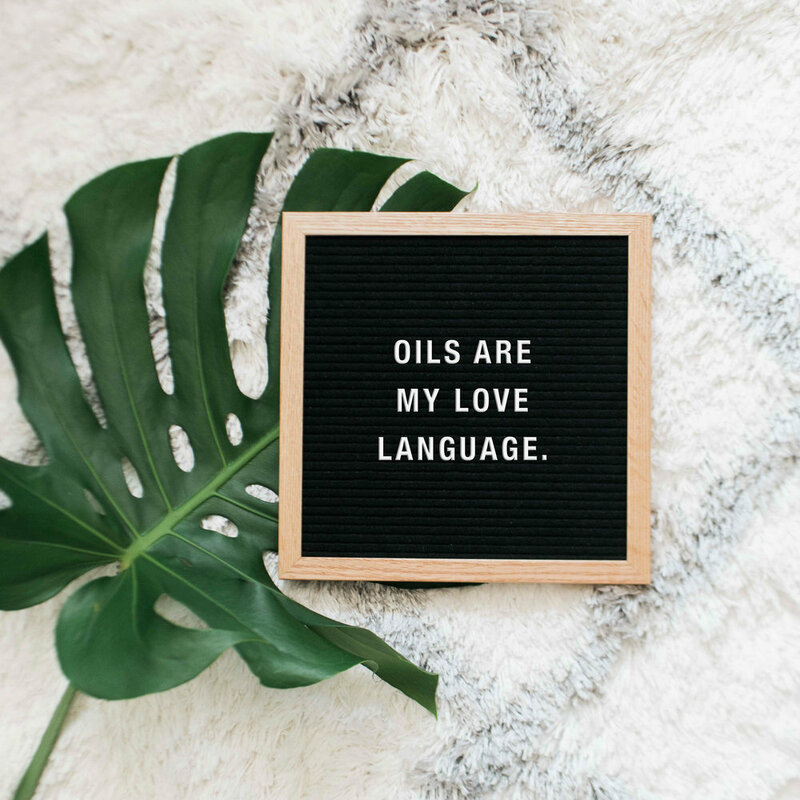 There are oils to improve your skin (Lavender & Frankincense), support your digestion (DiGize) and have you feeling blissed out in no time (Stress Away, hands down my favourite oil). It’s an awesome investment to support your health, ditch the nasty chemicals in your home and boost your mood! If you’re ready to buy your kit, you can get started right now with this link. Sign up as a “member” and order the Premium Starter Kit, along with any oils you think you'd like, to get your discount. If you would like my continued support, be sure that my member number (3579594) is listed in the ‘sponsor’ and ‘enroller’ boxes. Confused? Let me walk you through the ordering process. When you head over to the Young Living website, you’ll be asked if you want to be a MEMBER or RETAIL CUSTOMER. Select ‘Member’. This is how you get the wholesale discount and my support, and you have no obligation to sell or continue buying. Step 6: First up, you’ll fill out your personal info. Next, create your sign-in details. In the commission section, choose from business or individual (and if you’re a business, enter your ABN). Scroll through the member agreement, select the checkbox and click ‘Agree and Continue’. Step 7: Choose between ‘Essential Rewards’ or ‘Regular Order’. If you want to jump right into the oily lifestyle and order each month (this is how I get lots of awesome free stuff) choose Essential Rewards (you can cancel at any time). If you just want to order the kit for now, choose Regular Order. Step 8: In the ‘Fast Add’ section, enter ‘Premium Starter Kit with Dewdrop Diffuser and Oils’ (or your kit of choice). Click ‘Add to Monthly Order’. Click ‘Save Monthly Order’. Step 9: Enter your shipping and billing info, confirm your order and voila! You’re all done! Your oils will be with you soon and you can get started on your oily journey, woohoo! Questions about oils, ordering or anything else? Email me on hello@frandargaville.com and I’ll get right back to you!